A future where Samsung drops Android to instead run Tizen on all of its devices could soon become a reality. A recent report indicates that Samsung is planning to move away from Android in favor of Tizen, its own mobile OS. Let’s look at the details. According to comments from a Samsung executive, reported in The Korea Times earlier this week, the company plans to reduce its reliance on Android, and also on Google. 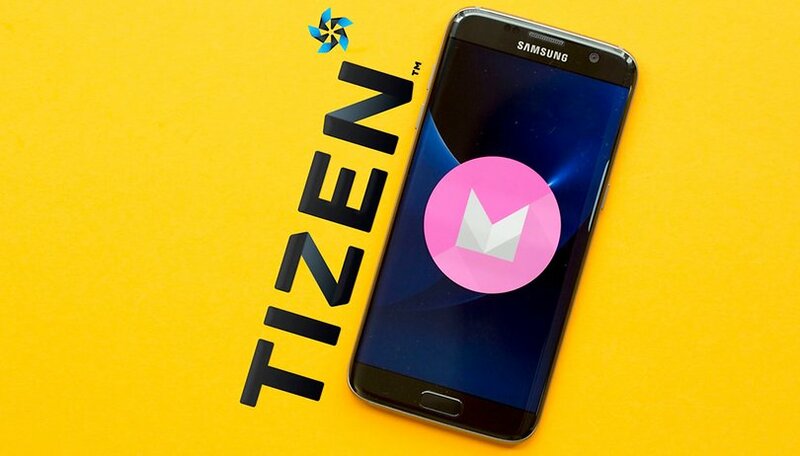 In making Tizen a more pervasive operating system, Samsung would have greater dominance within the smartphone industry and its own hardware-software platform, rather than simply skinning Android for its own devices. This would immediately make Samsung a major player in the mobile software business. The Samsung executive told the Korea Times that Tizen was “proving its competitiveness” after selling 64 million Tizen-based phones in India during quarter one of this year. This is in contrast to a report that in Q4 of 2015, there were less than 1 million shipments of Tizen smartphones. However, skip back to Q3 of last year and we saw that Tizen had taken fourth place for smartphone OS market share. This isn’t saying too much, though. For the past several years, Android and iOS made up more than 90 percent of the market share. In any case, the decision to part ways with Google could have serious ramifications for the Android ecosystem, with Samsung being the largest manufacturer of Android phones. It would change the mobile consumer technology landscape, whether in three months or two years. Samsung’s ability to ship phones is currently unmatched. I would be very skeptical about the possibility of Samsung dropping Android. There is no easy way to compete with Google when Android is in such a dominant position. Not only would competing be an uphill battle for Samsung, at least initially, but it makes little sense when Samsung could just continue selling new Tizen phones in markets like India without changing its overall strategy. Ambiguities in the Korea Times article aside, it remains unclear whether this strategy shift would target mainly enterprise customers, or if all consumers would be affected. It's also unclear if a change like this would target new devices only, or whether all devices would be migrated. Either way, the report raises an interesting question - is Samsung ready to break free from Android, or will it remain a permanent partnership? After all, Samsung built Tizen for a reason. AndroidPIT contacted a Samsung US spokesman for comment on the possible Tizen migration. The response was short. "Since this is just a rumor, Samsung does not have a comment," the spokesman said. Android is not just an OS/interface helping users 'talk' to the hardware inside the phone. It is an ecosystem bundled with Google services. And google would not unbundle them any time soon. Let's take apps as an example - There were tons of attempts to compete against Google Play and there are still some independent Android app stores, but most of them are unprofitable and never reach the turnover level required to beat playstore. Few companies that tried to build their own OS and their own ecosystems have been facing a seemingly insurmountable chicken and egg problem - you need a lot of apps to gain market traction AND you need a lot of demand for developers to bother to develop for your OS in the first place. Samsung has deep pockets, but so does Amazon or Microsoft. And yet the latter two are so behind that there is no light of hope at the end of the tunnel for them yet. So moving away from Android would be a decision that could break Samsung. If they pulled it off though, then the whole landscape of mobile software and hardware would transform. I am skeptical. Microsoft was the biggest tech company in the world when they pushed the Windows Phone. Now they are not. Even with all of the advantageous that Microsoft had they failed. We have now seen the same from Nokia, Blackberry, and many, many others. Google knocked them all out of the market. There is ZERO chance that any of the Android OEMs are going to move to a different platform. They are stuck. The bigger issue is developer cycles. There is just none because two slots are already taken, Android and iOS. Really we can not support 2 slots long term. One does need to become much smaller. But there is ZERO chance for a third. Look at MS with all of their development history and they could not get any developer traction. Only chance would be for Android or iOS to disappear and that is not going to happen for several more years. Many Apple users are extremely loyal to Apple. The other problem is Google is running a million miles an hour and no one can keep up. Just this round Google has Android working on laptops/desktops, instant Android apps, composable Android apps, multi-window, DayDream VR, new multi GPU hardware, TPUs on the client, etc. Then on top Google controls the most popular services and features in the world. So no Chromecast for a new platform. No YouTube like what Google did to Microsoft. No Gmail. No Google Maps. No Google Now. No AndroidAuto. No Google docs, sheets. There is literally zillions of things that would be lost. This is a non start on so many levels. I suspect Google was waiting for Windows Phone to die before really monetizing Android. Now MS is from the market Google is making their own branded phone without the volume limits agreed with the OEMs around the Nexus. This is why the OEMs are even talking about moving away from Android. They now get they are screwed. Either Google is the most brilliant company business wise in a very, very long time or extremely lucky. It's not some secret engineering trick. Most Android users want to choose their preferred OS, apps, launchers, etc (and have the option to permanently remove bloatware!) If Samsung delivers that with Tizen? They will win consumers! Ugh, that iOS name though. Surely you would think Samsung would be more creative or include something with space, since Galaxy is a trademark. Heck, even "Milkyway" or "Nova" sounds catchier. It'll be the one thing for sure that makes me not want a Samsung phone. I don't want yet another system, with another OS, with another set of media files I get to buy and download all over again. Nope. They can't even get a "premade" game going, so what makes them think that they can do any better from a blank sheet so to speak? All I can say is if this happens I might soon drop samsung for another brand of mobile device that uses Android. Just look at the disaster samsung calls the theme store. It seems they're struggling a lot to give it's users the paid theme store. Yet they want to get all of us to use Tizen instead of Android? It's laughable to say the least if they can't even get the paid theme store after a year and a half or more to everyone up to now how will the updates be and support? I can't see myself using a Tizen device where I can't use the apps that I use on Android. I wonder, is it to give us more bloatware so they can partner with their carriers that they want to develop and give us tizen? Why else? I don't see it being too their advantage. Sure some percentage of customers won't care, but is it enough to make revenue for them.. I can see them offering customers the choice between OS on the same hardware. Samsung had Bada (1+2) in their Wave phones. Phone and OS not too bad, apart from only having 380 mb installed memory but Tizen has to be mega fantastic to compete with Google- for the reasons quoted in this forum. youre wrong, bada was developed by Samsung¿? Creating ecosystem is the biggest challenge. Google is everywhere & all it's services are interlinked very well. Even there are many websites which allow to login through Google account. It means Google is omnipresent. We all know about Nokia's story how they become extinct due to Symbian and latest example is Microsoft. Microsoft has deep pockets but unable to create ecosystem for Windows. Competing with Google is not easy. If Samsung wants to position itself against Google then they have to create something more robust than Google. It's a good idea because now we'll see who's really about Android OS and who's really about the hardware. I have plenty of friends who are loyal to samsung not android as demonstrated by their purchases of the Tizen gear s smartwatches. Never even thought about Android Wear. Using Android has nothing to do with Samsung or any OEM its all about Google. If you don't want to try Tizen on Samsung hardware then try LG, HTC, or Sony. They could certainly use some love from the Android community as they don't currently make any money from their hardware sales. Also with Samsung gone we can see some truly original ideas come on the android hardware front as opposed to just samsung aping everything that Apple does ( hardware and software) . The other OEM don't follow Apple at all and are extremely creative/original. "samsung aping everything that Apple does ( hardware and software)"-- another crapple fanboy in here. Don't be so silly. Are you sure ? Where is LG Pay? HTC Pay? Sony Pay? Where is the HTC tablets ? The only company who consistently mimics Apple is Samsung hence their desire to own their OS and to create their own ecosystem. Why aren't HTC, LG, Sony as ambitious then ? Apple didn't invent that payment method. They just made it work better. Still, Samsung Pay is leaps and bounds better than Apple Pat or Android Pay. Apple's use of Touch ID for its payments was genius and way better than the nonstarter formerly known as Google Wallet. Where was Samsung Pay when Google Wallet was introduced in 2011? Samsung only decided to create Samsung Pay after Apple created its own NFC payment solution. My next point is why didn't the other android OEM's then create competing NFC solutions like Samsung did? This is why I said Samsung apes Apple and not the other OEM's. Following this logic it makes sense that Samsung wants its own OS especially since it has its own VR, smart home, and wearable ambitions that are outside the Google roadmap. Tizen is the only way Samsung gets the flexibility to realize those goals. The other android OEM's have no choice but to wait and follow Google's Android road map. Expect Samsung to take a sharp nose drive once it eliminates Android. And if Samsung pulls this stun, smartphone buyers should boycott buying anything with the name Samsung on it.